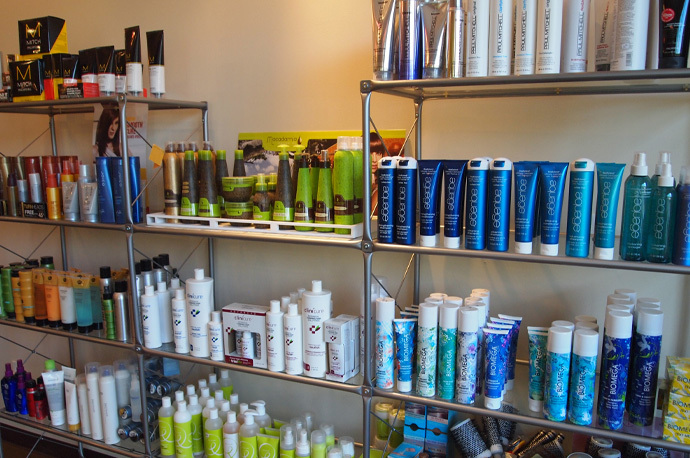 Progressions designers are committed to providing you with a style that’s lasting. This is why we make available to you a variety of products so you can recreate the same great look you leave with, at home. So, whether you need volume, density, smoothing or moisture… we can boost, refine, shine or hydrate. 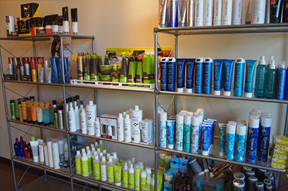 We will personalize your take home to your hairs needs. Any one of our staff will be more than happy to assist you. Day to night, work to play, Paul Mitchell ® Categories have it all. Fine, limp hair gets a weightless boost in volume with Paul Mitchell Extra-Body. You can have smooth hair, regardless of the type or texture, with Paul Mitchell Smoothing. Dare to wear any hard-to-hold style – super-size your control with Paul Mitchell’s Firm Hold Style. Paul Mitchell’s Flexible Style delivers the pliable control today’s trends demand. Rediscover your original favorites within the Paul Mitchell Original Category. Credo is "INNOVATION, INFORMATION, and INTERNATIONAL APPLICATION"
Utilizing a blend of twelve Hawaiian Island botanical extracts, each one offering its own distinctive benefit, combined with the amazing properties of the Kukui Nut Oils, the trade-marked "Hawaiian protein flora complex" is found throughout the Paul Brown Hawaii product line.